Whether you are going to the Caribbean or Tahiti, Europe or Asia, traveling is exciting and by taking care of a few things in advance, you’ll have a smoother vacation. My Vacation Lady likes to prepare our clients with handy travel tips. 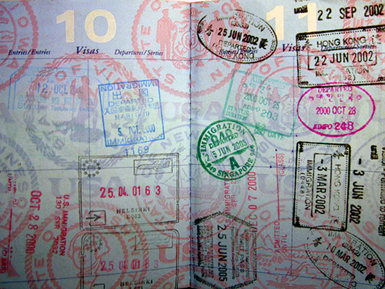 If it due to within 6 months of your date of return, you may be denied entry into certain countries even if your passport will expire within three to six months of your ticketed date of return. Get it renewed if you’ll be cutting it close. This is something that I ALWAYS suggest doing. Make copies of your passport, rail pass tickets, itinerary and travel insurance confirmation or keep each in an online version. This way, you can always access your important info and print them if you need to. Call your bank and credit-card company to advise them that you might be using your credit or debit cards overseas. This will help to ensure that they don’t decline any purchases thinking that your card was stolen. Find out your credit limits and any currency transaction fees involved in using your cards. While you have the bank on the phone, confirm your debit card’s daily withdrawal limit, request an increase if you want, and ask about fees for international transactions. In many cases, your US driver’s license will be sufficient but some countries, like Austria, Greece, Italy, and Spain, will require an International Driving Permit. You can get an IDP at your local AAA office for about $15 or 20. Also, consider renting a GPS since your cell phone navigation may not work without using up a lot of data. Make a list of all of your prescriptions and take them with you. This is also something else that you keep in an online file. Make sure you bring enough medication for your entire trip and then a few extras just in case. Bring a spare pair of contact lenses and glasses with you. Review your travel insurance coverage- make sure your policy # and the emergency phone # is readily available. Check with your cell phone provider to see what charges you might incur for international calling, texting or data usage. You might want to sign up for their international calling or text plans. Download Wifi calling and texting apps before you leave home and try them out before you leave. Consider downloading any tools that might come in handy on the road, such as translators, maps, transit schedules, e-books, and free audio tours. The team at My Vacation Lady works with our clients to ensure that all aspects of their vacation or honeymoon are smooth and stress free. We are sure that you’ll find our personalized vacation and honeymoon planning services a welcome break from online information overload.